Constance "Connie" Gates was born on Feb. 19, 1912 in Cleveland, Ohio. She was the oldest of five children, daughter of Augustus Joseph "A.J." Gates and Frances Lenore Myers. Connie's father graduated from Purdue, worked as an engineer for Edison Electric and later formed the "A.J. Gates Company" which sold trucks and fork-lifts. Connie's mother taught music at the Cleveland Institute of Music and was an organist, pianist, watercolorist, needlecraft artist and poet. Connie's maternal grandmother, Mary Augusta Gorton, was also an organist and her maternal great-grandmother, Frances Lucinda Roberts, was an oil painter. Connie had a strict Catholic upbringing. She attended Catholic girls' school and had considered becoming a nun when she grew up. But her vivacious personality won her a role as the star of her senior play which led to her playing piano and singing with her ukulele on a radio show after high school. This was enough to get her noticed by a scout from New York City who arranged an audition which landed her a contract with Columbia Broadcasting Company. 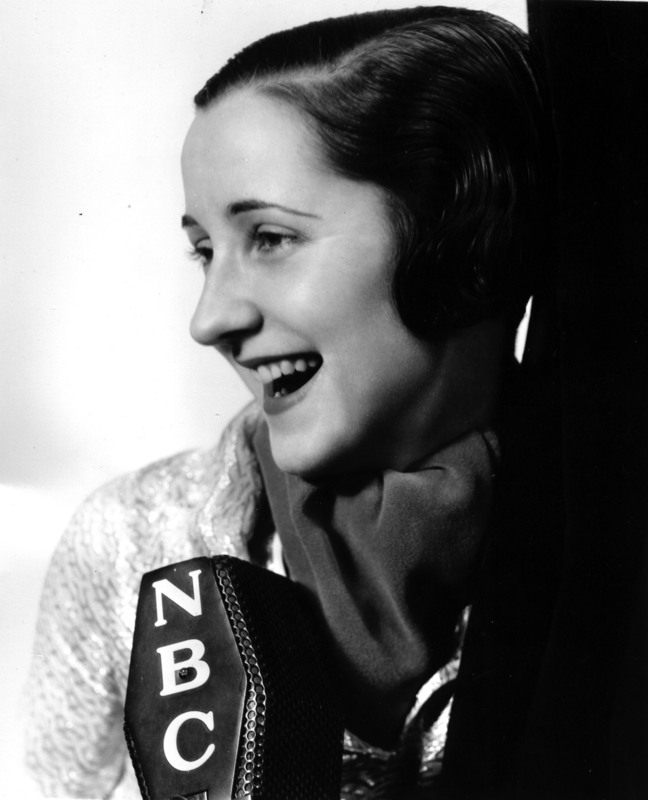 Instead of a nun, Connie had became a popular radio singer in New York City in the 30's, singing on the radio several shows a week with band leaders such as Benny Goodman and Tommy and Jimmy Dorsey. She spent 10 years of fun and parties, stars and nightclubs, and then, after falling in love with the handsome radio engineer who was adjusting her microphone, she gave up her career to get married and have three children in suburban New Jersey. Letters from Aunt Ella, Ella (Gorton) Mackenzie, 1940-1943. Excerpts from Diary of Connie Gates Markle, 1941-1944. Connie later became an artist, a hypnotist, a lay priest and a Buddhist. During her artistic career, she created hundreds of paintings, murals, sculptures, stained glass windows, illuminated writings, multi-media art photographs (She started taking photos at age 12 with her first Kodak). She was a client of Ira Progoff's during the the years he was developing his intensive journal method and she used his guidance to encourage her artistic qualities to blossom. Connie's two brothers and one sister settled around Cleveland but her youngest sister, Patricia Gates, followed Connie to the New York metropolitan area and later became Ira's executive secretary. Two articles below tell more about Connie's life. The first article, "The Evolution of a Radio Trouper," appeared in 1935 in The Long Island Press, Jamaica, NY and was one of many similar publicity articles syndicated to newspapers every few months all across the US. Click on the article to view a version you can enlarge. Transcribed text below. Photo caption: Connie Gates is becoming one of Columbia's popular young singers. Through the summer, she has been broadcasting Tuesday's (3:45 PM EST), Fridays ( 2 PM ) and Saturday mornings. Now she's going to sing with Emery Deutsch. Her amberish brown eyes were laughing when she told me a pathetic little story about the time she auditioned for Rudy Vallee, along with hundreds of other girls, in her hometown, Cleveland. You have an idea what an ordeal such auditions are. The aspiring vocalist is rushed up to the microphone, shoves her music at a strange pianist with whom she has never rehearsed, and bursts hastily into song. There isn't any time to catch your breath, with a long line waiting for a turn. 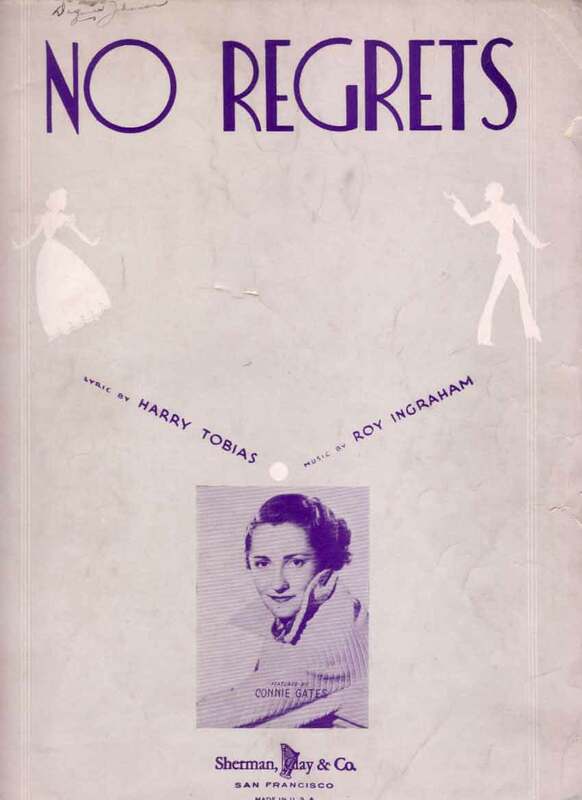 Connie had selected a ballad-she was strong on ballads in those days-entitled “ Just a little home for the old folks.” When the production man called “Next!” she walked, terrified, up to the microphone, where Rudy Vallee stood waiting to pass judgment. 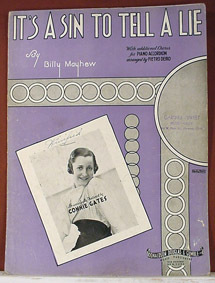 The audition pianist, said, “Music, please.” Connie had only brought one copy, from which she intended to read the lyrics, but she was obliged to hand it over to the accompanist. Fear that she would forget the lyrics ruined her poise. The pianist struck an opening chord, and Connie, addled and trembling, sang. "Just a little foam for the old soaks." That finished her. She walked away humiliated. Today, if such a thing should happen, would probably die laughing that day, she buried her face in the pillow and cried bitterly. 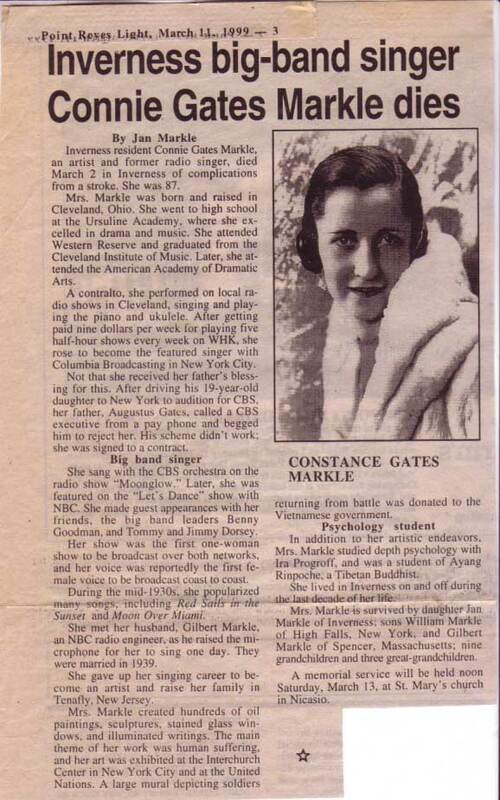 There is no relation between the highly sensitive little brown eyed girl who gave that audition, who later went to New York feeling as unestablished as Cinderella, and the consonant rich voiced Connie of today. Connie has learned to take life in her stride and she has learned to get away from herself and go places and do things. Two things gave Connie the nice –serious-girl-but-unglamorous- look she had when she first went to New York. One was the persistent feeling that she was actually a colorless little mouse. She had led a happy, untroubled and unexciting childhood in a snug home with devoted parents and four companionable brothers and sisters. She was certain that she was not of the material of which artists are made. She was not temperamental or fiery, nor did she see life in great splashes of color. Connie thought that people who painted pictures, wrote books, and sang songs had to get a kick out of life; her viewpoint was calm; outwardly at least, she kept her emotions to herself. She was by nature a recluse. As a student at the convent, Ursuline Academy, she seriously considered becoming a nun. Connie started piano lessons when very young, and as she grew up she thought she would like to become a concert pianist. Later she bought bought a ukulele. That was when it was the rage with the neighborhood kids to sit on the front porch of an evening and sing, "It ain't going to rain no more." 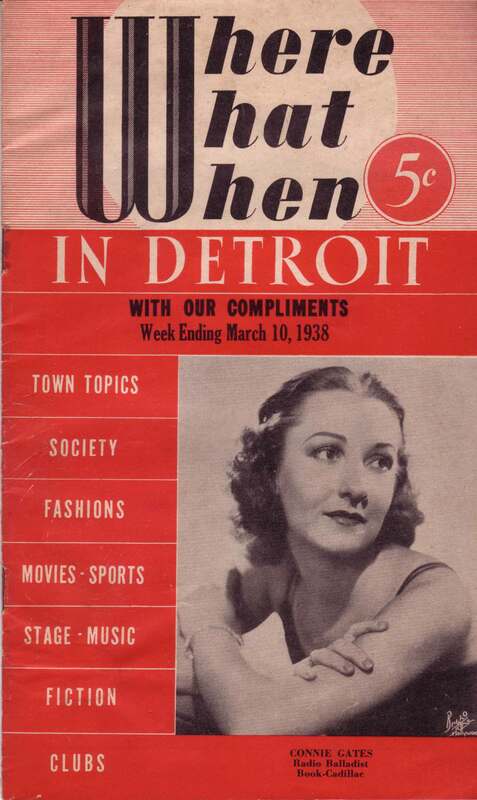 One of Connie's chums dared her to audition to appear on a program over station WJAY. Connie's mother said, “If you go Connie, for goodness sakes play the piano. You can do that well, but you can't sing, child." Connie took her ukulele, and classical piano music. She played the piano. Then she strummed the ukulele and sang "I've got a feeling I'm falling." It was her singing they liked, and they liked it well enough to schedule her for a half-hour program once a week. The announcer hailed her as the local rival for Ruth Etting. Connie was then 17; the year was 1929. The next two years -- aside from radio programs on WHK -- Connie put in at Western Reserve University and Cleveland Institute of Music. After school hours, she studied jazz-playing. Victor Knight, former Columbia production man, and now an executive in the program department, visited Cleveland and heard Connie singing. He called Connie and promised to speak to Ralph Wonders, Columbia's Artist’s Bureau Chief about her. Wonders replied that if Connie should ever visit New York he would be glad to talk to her. Several weeks later, Connie's father went to New York for a business trip and brought his wife and oldest daughter, along with him. It was an awed little girl indeed, who clung to her father's arm in a CBS reception room when the Gates family called on Ralph Wonders. But he arranged for her audition the next day -- September 13, two years ago. Connie, as nervous as a jumping bean, sat at the piano and played her own accompaniment to. "I've got the world on a string." It was a little ironic, the title of the song with which Connie earned her Columbia contract, for that time she was far from leading the world around on a leash. But she's got it on the string now. The week after she got her contract was a gay one. Connie returned to Cleveland for a farewell program over WHK. Flowers, telegrams, all kinds of congratulations poured in from friends and neighbors. Then, after a gala week that was too joyful for doubts, she caught the train for New York. The staff of the Columbia Studios soon got to know Connie -- a nice, quiet, little girl who came in always on time for rehearsal, sang her numbers competently and showed no trace of temperament. Everyone liked her. Few people knew her well. It was her idea in those days that the more rest she got, the more diligently, she practiced, the further she’d advance. Connie was often rapturous about her rehearsals on the piano in her own room, but very often when she stepped to the microphone to sing, the thing she had captured during rehearsals slipped from her grasp. Columbia seemed well satisfied with her progress, but not Connie. Six months ago, she quietly started to study dramatics at the American Academy. Registering as a regular student, Connie went through the mill of studying plays. It gave her new confidence before the microphone. Then suddenly Connie decided that she was studying too hard. She wanted to get more fun out of life. So she gave up her dramatic studies, stopped rehearsing so assiduously at home, and began to “get social." She went horseback riding with Vera Van and Betty Barthell and Loretta Lee. She dressed up in evening clothes at night and went dancing. Connie found one awfully good recipe for conquering the blues, and "getting away from it all." "When I feel low and all my troubles got magnified in my imagination, I used to envy men who could go out on a bat and at least temporarily cure themselves. But you see, that would never do for me because I don't like to drink. "Then I discovered there other ways of getting intoxicated: that is by doing something new, which is both fascinating and difficult. Something which challenges your ability. Several months ago I took a few flying lessons for that very reason. There was a thrill to flying, a danger every time I took off. I had to concentrate on what I was doing. And I didn't have any hangover when I got through." Since Connie has 100 things on her list of Interesting Things To Do, she has enough theoretical intoxication to tide her through for a long time. She'd like to set her mind on writing one real hit tune, for instance. Or if she thinks her work is getting drab and she needs some extra exuberance in her singing, she’ll probably climb into her riding habit and report to an academy in Central Park, to learn to take a horse over the hurdles. The world is full of a number of things, Connie reminds herself, so there is no reason for a healthy, normal human to become fed up. There's another trick she knows; it's not a new trick to women but it's as good as ever. When the barometer looks low, she buys a new hat. Or gets herself a new haircut. Or changes the shade of her lipstick. When Connie first came to New York she wore very nice but unexciting clothes. She put her mind on getting to look like a knockout, and she has succeeded 100%. She wears simple but striking outfits. She likes smart sport clothes and slinky evening dresses. The in-between things leave her fairly cold. Red and black, with just a touch of white, are her favorite color schemes. When Connie began to drain the most in color and youthful thrill out of life, things in general looked brighter -- even without donning rose-colored glasses. She lost that little drawn expression between her eyebrows. She began to get a real kick out of her shows. Her top thrill and achievement was the day Ted Collins called her to fill in for Kate Smith. 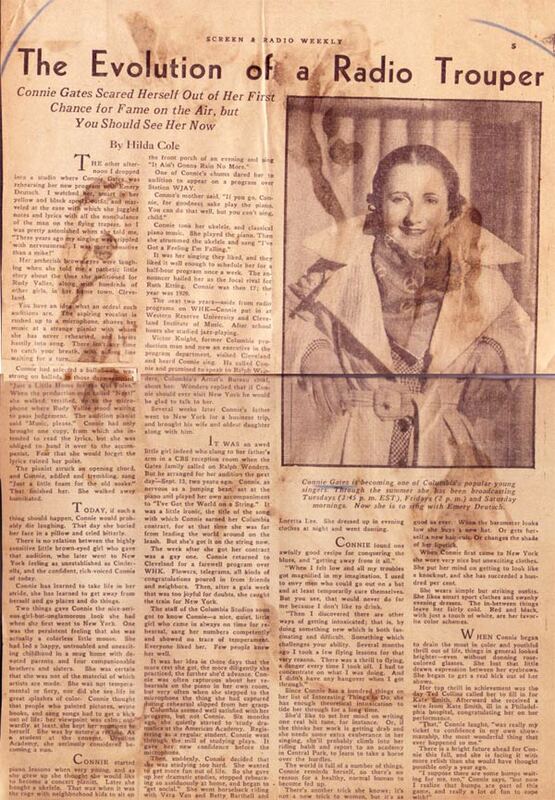 Afterward, she received a wire from Kate Smith, ill in a Philadelphia hospital, congratulating her on her performance. "That," Connie laughs, "was really my ticket to confidence in my own showmanship, the most wonderful thing that ever happened to me." There is a bright future ahead for Connie this fall, and she is facing it with more relish than she would have thought possible only a year ago. "I suppose there are some bumps waiting for me, too," Connie says, "but now I realize that bumps are part of this game, and really a lot of fun to cope with!" Connie always said, "I did everything I ever wanted to do in my life and I have no regrets." The following obituary appeared in the Point Reyes Light, Point Reyes, CA, March 11, 1999.